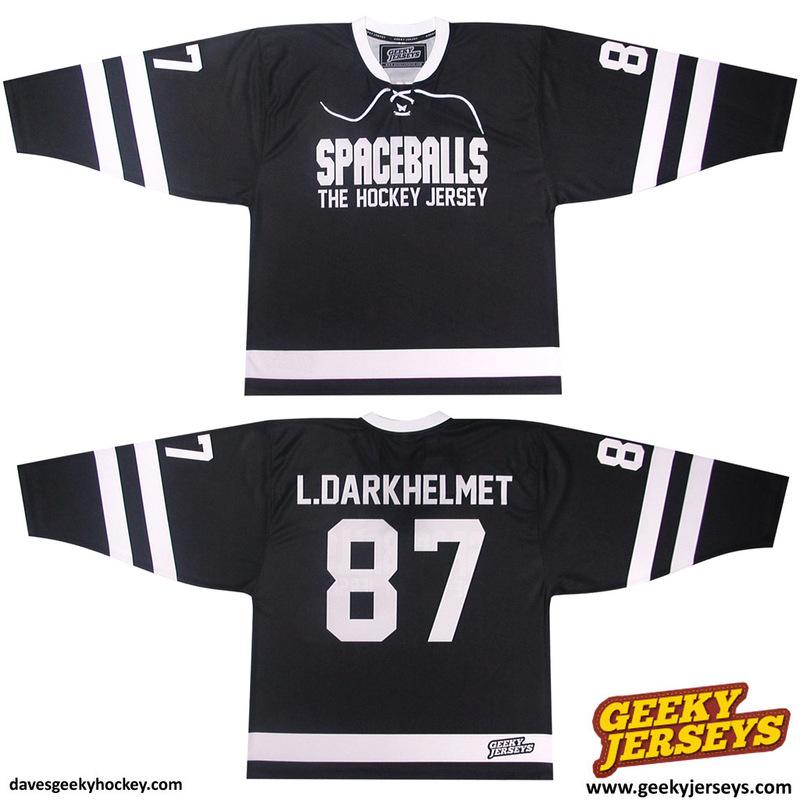 Spaceballs The Hockey Jerseys Are Done! The Spaceballs design is finally done, and they’ll be shipping out this week for those who ordered. Miss out? Sign up here if you want to be notified for an encore run. The more people who sign up, the greater the odds it will be offered again. Great job by Geeky Jerseys again! Can’t wait to get my LONESTAR jersey. You’ll have to forgive the plainness of the design. I posted it on Facebook for a laugh, and it got an incredible reception, so I left it as-is. Plus I feel the generic design is appropriate to the joke; it really does look like a throwaway piece of merchandise that would belong in Yogurt’s subterranean store. Posted on May 6, 2013, in Completed!, Geeky Jerseys and tagged Completed!, Geeky Hockey Jerseys, SPACEBALLS. Bookmark the permalink. Leave a comment.